AC Milan win 5-3 on penalties. Manchester City win 6-5 on penalties. PSG maintained their winning run in pre-season with a 3-1 victory over Real Madrid in the International Champions Cup. In front of 86,000 fans in Ohio, the French champions made it three wins in friendlies for new coach Unai Emery as a first-half brace from Thomas Meunier and a Nanitamo Ikoné strike saw off a Madrid side that were without most of their first-team players although first-choice left-back Marcelo scored from the penalty spot. Gareth Bale, Cristiano Ronaldo, Luka Modric, James Rodriguez and Pepe didn't feature as Zinedine Zidane decided to play give some fringe players a chance in the first half before making 11 changes in the second, bringing on a team full of youngsters, including his son Enzo and Martin Odegaard. 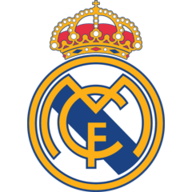 The youthful Madrid side performed confidently, outperforming their elders by holding a very experienced PSG side to a 0-0 in the final 45 minutes. Emery's men took just two minutes to stamp their authority on the game when Ikoné burst through a very flimsy tackle from Marcelo before calmly finishing into the bottom corner. PSG skipper Thiago Silva had to be substituted on 11 minutes with a hip injury but his replacement Meunier, who switched to right-back, made a huge impact on the game. On his second appearance from the club since joining from Club Brugge in the summer, the Belgian international fired home a spectacular left-footed effort from 25 yards on 35 minutes. He was driving forward at every opportunity and turned the scoreline into a potentially embarrassing one for Real five minutes later by hammering home from close range after breaking in behind Marcelo far too easily. The Madrid left-back did produce something positive in a uninspiring first-half showing by curling home a penalty just before half-time after Serge Aurier was penalised for handball. Zidane rang the changes at the break while Emery strengthened his hand by introducing Angel Di Maria into the fold. 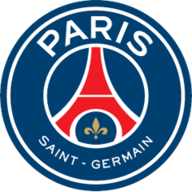 Despite the strong line-up, PSG struggled to contain a vibrant Madrid side and goalkeeper Kevin Trapp had to be alert to tip over a dangerous Marco Asensio effort from 20 yards. However, Di Maria was a huge threat on the break and Edinson Cavani fired a presentable chance wide with 73 minutes as he cut a frustrated figure leading the line. That was the closest PSG came to extending their lead as the Real youngsters were good value for their second half clean sheet. Former youth coach Zidane looked a proud man on the touchline. The future looks bright.